He has been called the “the most dangerous man in America”. His scientific articles, newspaper contributions, and books predictably arouse emotional responses and his most recent book “Why Nudge?” is no exception. Cass Sunstein wrote Why Nudge? as a response to various attacks on nudging and behaviourally informed regulation. Based on earlier books, such as Kahneman’s Thinking Fast and Slow and Thaler and Sunstein’s Nudge, Why Nudge? presents several new and important contributions, some of which are summarised below. The book classifies paternalism along 2 dimensions; soft versus hard and means versus ends. The distinction between soft and hard paternalism describes how costly a paternalistic intervention is for the individual. For example, while tobacco packaging warning messages are soft paternalism, a large fine if you are caught smoking in an illegal zone is a hard intervention. The distinction between means paternalism and ends paternalism refers to whether interventions should tell people what to do or prioritize helping them to achieve what they want themselves. An example is discouraging obesity by posting calorie labels (means) or banning large sized sugary drinks (ends). 'Nudges', of which there are many examples in the Nudge Database on this website, are (i) soft, in that they are relatively low-cost, and (ii) means-oriented, in that they do not override individuals' goals. One problem with these two distinctions is that the lines between them can become blurred. The distinction between soft and hard paternalism might be defined by the absence and the presence of material costs, respectively. However, a nudge might have very low material costs, but exorbitantly high psychological costs. An example would be publicly posting a list of names of tax evaders as a shaming mechanism. A nudge like that doesn't seem so soft. Maybe soft paternalism means that all costs (material and psychological) are relatively low. Fig. 1. Means or ends? Distinguishing between means and ends paternalism is also not so straightforward. The level of detail at which 'ends' can be defined can vary. If ends are defined very narrowly, every nudge counts as ends paternalism. If ends are defined very broadly, every nudge counts as means paternalism. 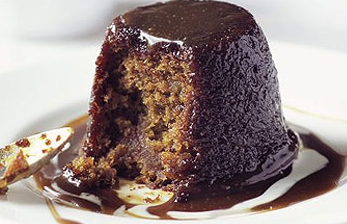 For example, if my end goal is to eat a delicious Sticky Toffee Pudding (Fig. 1), nudges that discourage delicious but unhealthy desserts are ends paternalism. However, if my end is to live a healthy life, the same nudge might be considered means paternalism. Still the two distinctions are useful. Many interventions can be classified into one of the four boxes (Fig. 2). In particular, many nudges are clearly soft and means paternalism. Having introduced these distinctions rather early in the book, Sunstein is able to steal many critics’ thunder by emphasising that nudges are soft (not hard) and means (not ends) paternalism, and therefore much less intrusive than other forms of paternalism, such as bans, mandates, and taxes. Another argument Sunstein advances in favour of nudging is that choice architecture is inevitable. Since some design has to be in place it does not make sense to close one’s eyes and ignore the influence of choice architecture. To the contrary, behavioural scientists may be particularly well-placed to discuss more constructively how choice architecture should be built (one suggestion made by Martin Binder and myself can be found here). Finally, perhaps Sunstein's strongest argument in favour of nudges deals with epistemic privilege. The epistemic privilege suggests that the individual knows best. Given that the individual indeed knows best, there is no reason for the government to interfere with individuals’ decisions if their actions do not harm other individuals (which is J.S. Mill’s harm principle). However, behavioural economics has shown that people's choices do not always promote their welfare. There are behavioural market failures. Cognitive biases such as affective forecasting and the focusing illusion and hyperbolic discounting suggest that the individual does not always know best, at least in certain situations. Whether policy interventions are warranted, Sunstein argues, should be determined by cost benefit analyses (see his recent paper with Ed Glaeser). The insight that choice architecture is inevitable seems to suggest that the costs of choice architecture are essentially zero (no more choice architecture is introduced; only the existing choice architecture is modified). The insight that behavioural market failures do occur suggests that large welfare gains are possible with relatively minor tweaks to existing policies. Nudges are therefore often very effective when evaluated in terms of costs and benefits. Your argument is valid. Therefore we should prefer soft paternalism over hard paternalism. You argument is not valid because it addresses ends paternalism. Nudges try to help people to get what they want; they are means paternalism. Some kind of choice architecture is inevitable. Hence there are no costs of the intervention. As a result of behavioural market failures large welfare gains are possible. In light of these welfare gains, small costs are acceptable. Officials lack the information to nudge and enhance individuals' welfare. Errors are more likely to come from officials than from individuals. Mistakes are often productive and induce private learning. Interests of lobby groups will affect nudgers. Public officials are people, too (see here). This will lead us to the Brave New World. Who monitors public officials? Who nudges nudgers? Mandates and bans are transparent and visible and can trigger political safeguards; nudges work best in the dark (see here and here). Some objections are more difficult to deal with. For example, the fact that preferences change over time and contexts induces huge problems for a cost benefit analysis. How can the government identify true preferences and thus understand what promotes aggregate welfare over time? Sunstein devotes one chapter to autonomy, in which he distinguishes a 'thin' and 'thick' version of autonomy. In the thin version, autonomy (defined as freedom of choice) is seen as an ingredient of welfare. People dislike having their choices overridden and hence a reduction of freedom of choice reduces their welfare. Based on this criterion, hard paternalism (bans and taxes) should reduce welfare, but soft paternalism (nudges) should not. However, it might also be the case that people like choosing, which is more than just having the right to choose. If people like choosing, defaults – which do not take away the right to choose – might reduce peoples’ welfare. In any case, Nudges are compatible with the thin version of the autonomy argument, especially when granting that a cost benefit analysis is warranted when evaluating behavioural interventions. In the thick version, freedom of choice is not just a part of the utility function. Here, freedom of choice is seen as an end in itself. Proponents of this thick version argue that people should have a right to choose even if choices cause them harm; be entitled to buy unhealthy stuff; not be regarded as children; be treated with respect; be ends, not means; be sovereign; and be free to make mistakes. Hence, in this view even soft paternalism threatens individual dignity and endangers liberty. Sunstein’s response to the thick version of the autonomy objection is interesting. He seems to suggest that the above arguments tend to originate in people’s System 1 (where biases and errors also tend to originate). At this April 2014 panel discussion at Harvard Law School the panel talks a bit more about the role of System 1 in the thick version of the objections based on autonomy. In the book, Sunstein says that some argue that the thick version of autonomy is rhetorical flourish and therefore unhelpful. There is one part of the book where I disagree with him (see here *new version*). This is when he writes about the way nudges work: either by promoting conscious deliberation (in System 2) or by operating behind the back of the chooser (via System 1). Sunstein proposes that it is hard to see why nudges should be seen objectionable if they do not promote deliberation in System 2, but work only or largely because of the operations in System 1. His main argument is that nudges are inevitable: Any cafeteria has to have a design, any list of items has to have an order, and we cannot avoid influencing System 1. His argument goes: Since we cannot avoid this influence, nudges should not be ruled off limits merely because they work as a result of the operations of System 1, as long as they are made public and defended on their merits. What is missing here is an analysis of the dynamic effects of nudges. He might be totally correct in a static framework. However, when considering that nudges can change the strength of decision-making anomalies over time, and influence the degree to which people make decisions in System 1 or System 2, one can see some additional costs of nudging. People might learn to trust the choice architecture and to rely on their System 1 when making decisions. Center member Thomas de Haan is involved in an experimental representation of this issue. There might be a backlash against too good nudges. And – to call in the slippery slope argument – the door would open up for any kind of manipulation when most people rely on their System 1 most of the time. I favour nudges that improve, rather than reduce, individuals’ ability to make critically reflected decisions in their System 2. In one aspect I sincerely agree with Sunstein: On these questions, more empirical research would be highly desirable. "To conclude, Why Nudge is a fine book. It treats critics of the “soft paternalism” of nudges with great respect, it is non-dogmatic, and it is nuanced and sophisticated in its arguments. I don’t recommend this book as a substitute for Thinking Fast and Slow or Nudge. But it is an excellent next book to read. And in a pinch, for those of us too busy making decisions that the world will not make for us to read so many books, it provides a faithful snapshot of the earlier books so that its main arguments are self-contained."